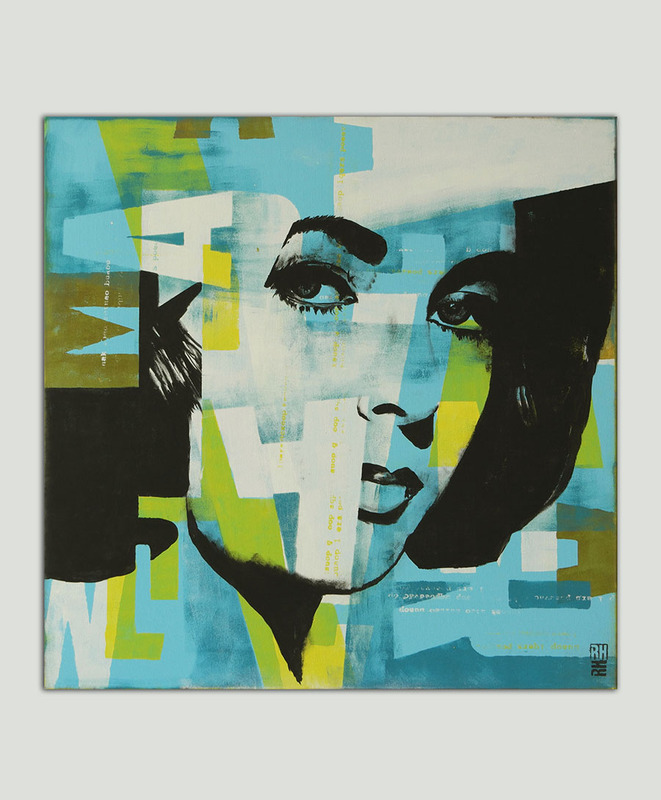 Meet “Vintage Blue” (90×90 cm), the latest addition to the abstract portrait series ‘Pop Art Girl’ by Dutch artist Ronald Hunter. 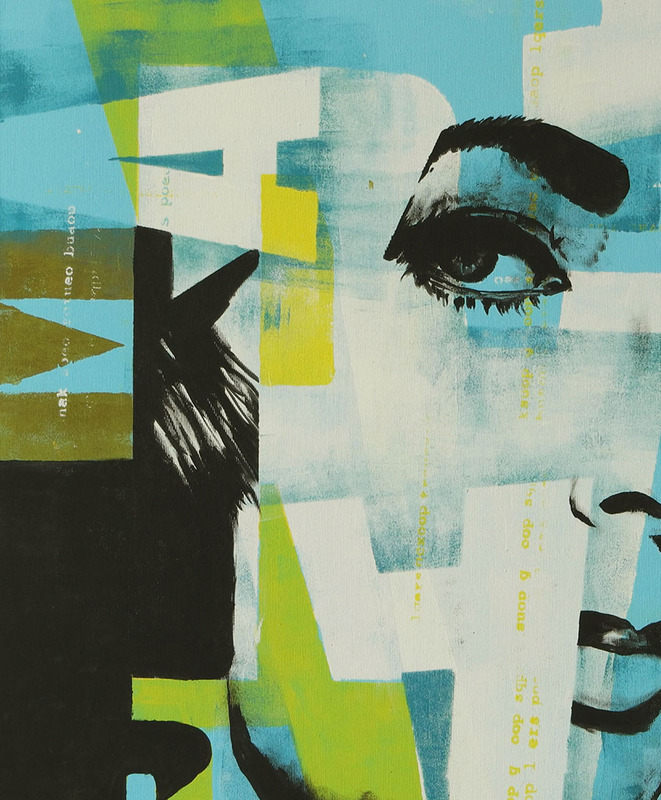 A stunning work of art, where Ronald combines an iconic portrait with typographic forms. Not only did Ronald play with perspective, he also managed to integrate form and portrait into a single image. In addition, the light color tones bring a nice freshness to the artwork. 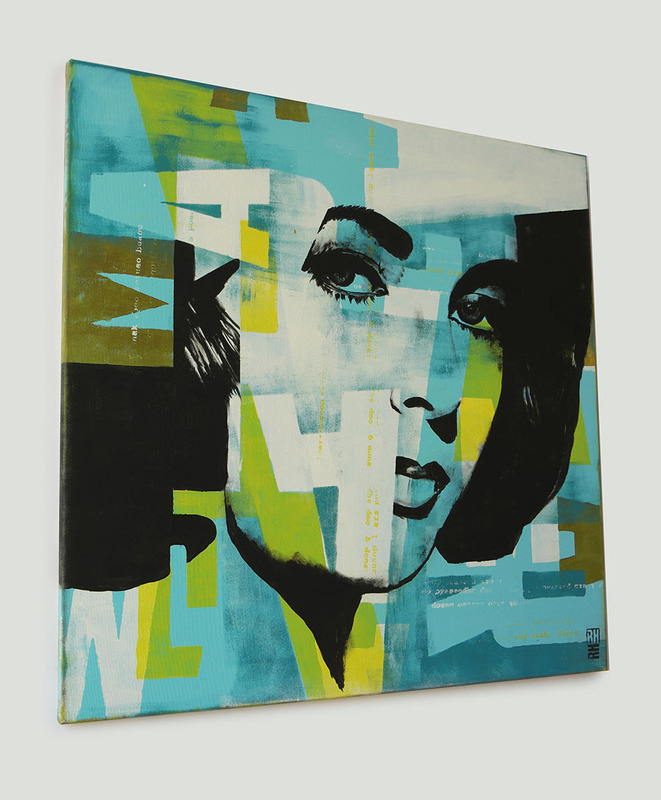 Like many of his portraits, Ronald finds inspiration in the Pop Art movement and the work of Andy Warhol. This painting is available in our shop. It is sold ready to hang, with a hook attached to the back. The artwork is signed on the front (RH initials), and comes with a certificate of authenticity. We offer secure payment, and we ship world wide. In fact, Ronald already sold paintings to 51 countries to date! Depending on its destination, it usually takes around 10 days to arrive at the customer’s address. And what is more: in the rare occasion that a customer is not happy with the artwork, we offer a full refund of the painting within 14 days of delivery.